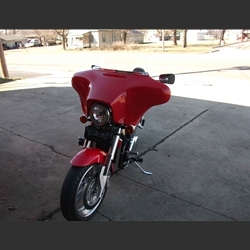 The Kawasaki Meanstreak fairing attaches to Memphis Shade Adj. Clamp Brackets and we must know the fork Tube size. Please be aware, the turn signals may need to be relocated.